BP plc (ADR) (NYSE:BP) will be cutting thousands of jobs across all of its sectors, in a restructuring program that seeks to make the British oil and gas company more profitable amidst steep declines in oil prices. An amount of $1 billion is earmarked for the restructuring, and the company is also eyeing more cuts in its 2015 budget, on top of cuts announced last October, which is estimated to range from $1 billion to $2 billion. BP plc (ADR) (NYSE:BP) will implement the job cuts not only on account of the sluggish oil prices but also to represent the reduction in size that the company has been through. BP says fewer staff will be needed now for its operations, as the company has sold assets worth $43 billion to help it defray the costs of the 2010 Gulf of Mexico oil spill. The accident forced the company to sell oil and gas fields in the U.S., the North Sea, and everywhere else. The company is also considering to sell assets worth $10 billion by 2016. Adding to the uncertainties brought by the current slump in oil prices is the recent forecast by OPEC that demand will suffer a 12-year low by next year. 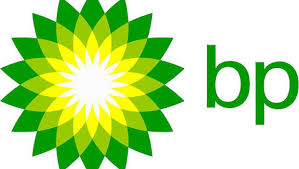 Lamar McKay, BP plc (ADR) (NYSE:BP) head for exploration and production, noted in a presentation to analysts on Wednesday that it will take at least two years for prices to revive from steep declines, taking historical data into account. On the face of what it terms as “tougher external environment”, BP plc (ADR) (NYSE:BP) will be accelerating the reduction of its workforce, which currently counts 84,000 staff worldwide. The job cuts is expected to eliminate redundancies and make the company more efficient. Most of the amount allotted for the cut is expected to defray the costs of separation packages.